It’s 2 a.m. and you’re cramming for an exam. You’ve been up for 24- hours and you’re running on nothing but caffeine and potato chips. You’re dying for sleep but your final waits for no one. And so you stay up and study, sacrificing health and well-being to pass the test. Does any of this sound familiar? Now, consider this radical alternative: you put yourself first. What would that look like? During PGC, we’ve asked you to think about the big picture: your ecological footprint, the waste you generate, the food you eat, the energy you consume, and more. Given all of this information, it can be easy to forget to care for yourself. But, YOU are a key piece of that big picture. To care for the planet, you must care for yourself first. Prioritizing wellness as part of your daily lifestyle helps ensure that you have the energy to be an effective and enduring changemaker which our planet needs more than ever right now. In moments of high stress, wellness may feel like a low priority. But with a toolbox of techniques and a commitment to your health, you’ll find that you can accomplish more in all parts of your life. Today, we invite you to sustain yourself. Take some time to celebrate what you have accomplished over the past couple weeks. It’s quite extraordinary. Take a deep breath, clear your mind, and, as Thich Nhat Hanh suggests, “feel your feet on the earth”. With that, let’s get started with a daily dose of wellness. Eat well. You are what you eat, and eating healthy, FLOSN (Fresh, Local, Organic, Seasonal, Non-GMO) foods not only takes care of your body, but the planet too. It’s a win-win! Exercise. Schedule time to move your body, even if you have a lot on your plate! Everyone is different, so find a way of keeping active that you enjoy, be it running, weight-lifting, doing yoga, spinning, playing frisbee or any other sport, or even just taking post-meal strolls. Exercise has many physiological and mental benefits, which include reducing your risk of chronic disease and dementia, increasing productivity, and boosting your mood. Get your zzzzz’s. You know you need your sleep, but sometimes an all-nighter seems like the only option to accomplish everything on your agenda. Instead, prioritize a good night’s sleep. It helps you retain information and perform better, strengthen your immune system, and maintain a healthy metabolism. If you’re finding it challenging to fall asleep, try to turn your electronic devices off at least 30 minutes before bedtime, have a regularly consistent sleep schedule and develop a calming night routine. Study smart. There are plenty of things to distract you when you are studying. Instead, try to turn off your phone and internet when you’re hitting the books. Those wasted hours on Snapchat are put to much better use hanging out with your friends in person or sleeping! Try the Pomodoro method as a productivity tool. Follow your bliss. Have some fun! Carve out time in your schedule to do something that brings you joy and helps you to relax. Whether that’s going for a run, practicing yoga, meditation, painting, or playing frisbee in the quad, take some time to do something that you love. Practice mindfulness. Mindfulness is being fully present and aware of the world around you. It has been proven to help manage stress, increase memory and attention, fight depression and anxiety, and even boost the immune system! Where to start? Try a simple meditation practice here or here. Practice gratitude. Gratitude is being thankful and showing appreciation for your life and those around you. Similar to mindfulness, gratitude has shown to increase happiness, reduce blood pressure, improve sleep patterns and even prolong your life! Check out this short 2 minute video on the science of gratitude and how you can integrate it into your own life. Explore holistic alternatives. Holistic medicine works to help people regain balance in their lives by considering the whole person — body, mind, spirit, and emotions. Consider natural remedies and preventive self-care. A big part of daily wellness, as you have learned over the past couple of weeks is understanding the choices that you make and their impact on each aspect of life. 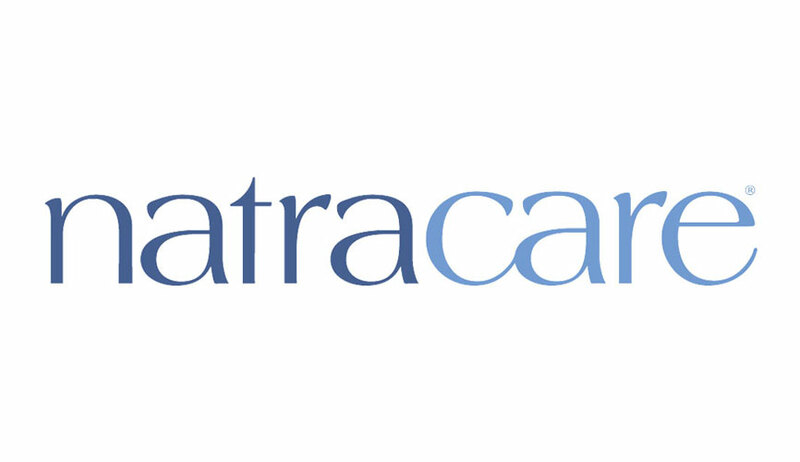 Today’s partners Natracare (organic & natural personal care), Women’s Voices for the Earth (works to eliminate toxins that harm women’s health) and Made Safe (first non-toxic seal for products we use daily), are on the front lines of looking after people and planet through their business practices and missions. One area of focus that we don’t always think about is feminine hygiene. Check out today’s extra credit challenge to learn more and dive deeper! Throughout PGC you’ve learned a lot about what we can do for the planet, but our planet also does so much for us. By taking some time to get outside and experience all that mother nature has to offer, we can better appreciate the interconnectedness between us and our incredible planet. Not only that, but being in nature has been proven to improve concentration, increase happiness and even boost your ability to heal! Ironically, we’re spending more time inside using our electronic devices than experiencing the goodness of being outdoors. Each of us is averaging two hours+ a day on social media, and though social media has its pluses, studies have shown excessive use is detrimental to our self-esteem, mental health and sleep schedule. Let’s try to be more woke about the world around us, instead of having our heads buried in tiny blue screens! Practice disconnecting. Turn your phone to airplane mode to leave distractions behind. You can use your phone only to take photos for this challenge. Take a walk in a place that you enjoy. It may be as simple as the walkway outside your building, a trail, or a nearby garden, field or park. Observe what is around you and with particular note to any nature abounds. Tune in to your senses – what do you see, smell, feel, and hear? This could become a walking meditation. If any thoughts or worries arise, gently guide your attention back to the nature around you. Did you notice anything new, even if it’s a walk you do often? Write four or five words describing how you felt after your walk. Take a photo that captures the essence of your place and share it on the social media platform of your choice. Write a caption that depicts your observations, or feelings or gratitude for nature. Be sure to tag @turninggreenorg and hashtag #PGC2018 as well as our partners today @Natracare, @women4earth and @EnvirHealthNews. Upload a PDF Document with your responses and a screenshot of your social media post. Please include your name (or team name), username, email, and school. Showing appreciation for life and those around us is something that could take five minutes a day. And it is perhaps one of the simplest ways to improve our well-being. Yet, so few of us make gratitude a daily practice. But, it’s never too late to start being thankful, so today’s challenge will help you kickstart a practice of gratitude. Watch “An Experiment in Gratitude: The Science of Happiness” video here, to frame this challenge. Think about a person you are grateful for. Write a letter to this person detailing why you are grateful. Include at least 5 ways they have positively contributed to your life. Be personal, intentional and genuine. After you have written your letter, read it to that person face-to-face, by phone, skype or send by snail mail. Take note of their reaction and how it made you feel. Upload a PDF Document with a summary of your conversation. Did you learn any new wellness tips you want to try? Include their name and any information you learned. Please include your name (or team name), username, email, and school. Mindfulness is a very trendy, and for good reason. Its beneficial effects have been promoted by people of all sorts – celebrities, self-help gurus, even marines and inmates. Yet, the popularity surrounding mindfulness can make it seem inaccessible, when in reality, it is very straightforward. Mindfulness is simply practicing the art of creating space for ourselves –space to think, to breathe, between ourselves and our reactions. In turn, we hope that this heightening of self-awareness will help you think about and develop a clearer vision of how you want to make change in the world. Read this “Mindfulness Techniques to Reduce Stress” article. Check out this infographic for a more in-depth explanation of the practices in the article. Throughout the course of your day, make time to try out at least two of the mindfulness practices in the article. Make a commitment to yourself about doing these practices. What did you notice about your emotions and thoughts before and after each practice? Was there any difference? Which practice did you prefer and why? Were there any external or internal barriers that impeded you from having an effective mindfulness session? How might you eliminate those barriers in the future? Upload your answers to these questions, and anything else that may have come up as you practiced mindfulness. Extra Credit due on October 18 @ 6am PT. Up to 100 bonus points awarded for outstanding work. Part of daily wellness, as you have learned over the past couple of weeks is understanding the choices that you make and their impact on health and wellness in each aspect of life. Today’s partners Natracare (organic & natural personal care), Women’s Voices for the Earth (works to eliminate toxins that harm women’s health) and Made Safe (first non-toxic seal for products we use daily), are on the front lines of looking after people and planet through their business practices and missions. One aspect of life that we don’t know to think about is feminine hygiene. Even if you think this doesn’t applies to you directly, think about the women in your life who might also want to be informed. This challenge gives you the chance to become informed and then creatively pass the information forward. Take a look Here, here and here at three resources from our partners to get you started. Come up with a creative way to incorporate facts that you learned that you can share with others underscoring the importance of healthy feminine hygiene. Share your creative presentation on social media and tag @Natracare, @MadeSafeHQ, and @WomensVoices.